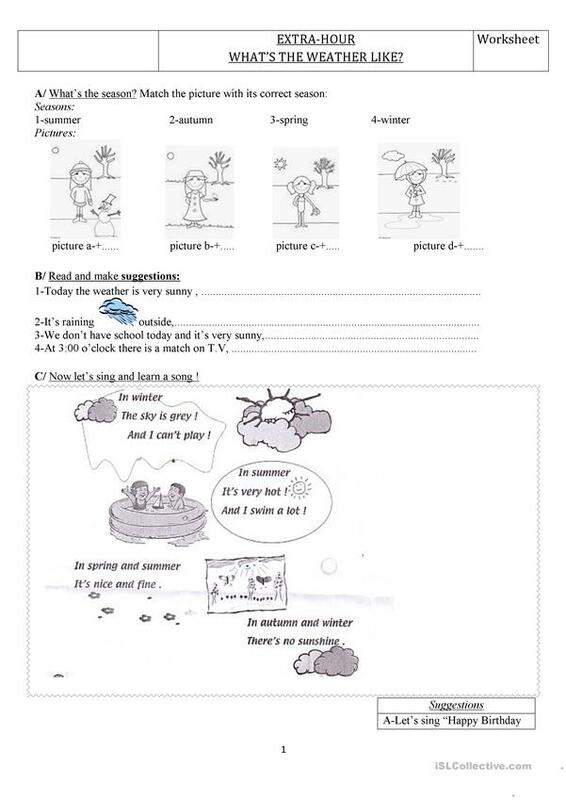 A worsheet to consolidate the lexis about the weather. and how to make suggestions. The lyrics of a song are used, and you can sing it with the pupils. 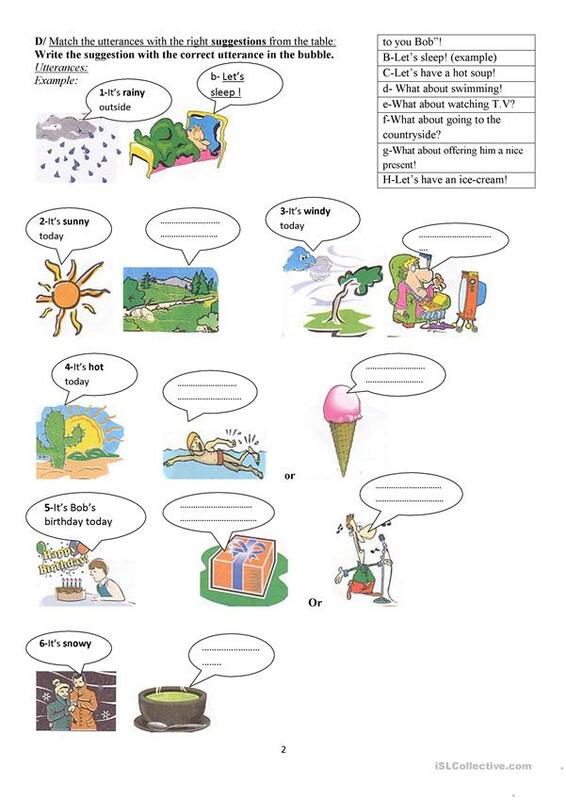 The above downloadable printable is meant for elementary school students at Pre-intermediate (A2) level. It is excellent for developing your class' Listening and Speaking skills. It features the vocabulary topic of Weather. kouka is from/lives in Tunisia and has been a member of iSLCollective since 2012-04-27 16:39:46. kouka last logged in on 2016-11-14 01:07:13, and has shared 1 resources on iSLCollective so far.